I have moved my battery to the passenger bin and added a 40amp 3-circuit fuse panel to power the EBC, wideband and cooling fan on my IC. 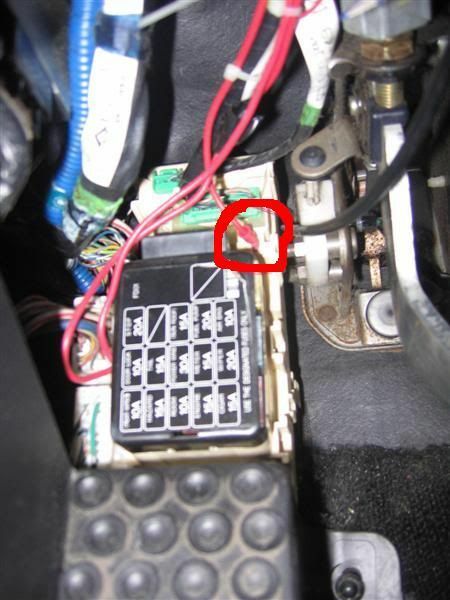 Is there a preferred circuit/fuse to tap into to get an ignition on signal to power up the relay in the aftermarket panel? I am assuming I do not want this to power up with the radio on the first spot on the ignition. I am trying to avoid digging into any steering column harness or anything along those lines. That's the one I use too. Just above the fuses on the right is the easy one on the main fuse box by your left foot on a USDM. Awesome, thanks both, will check it out tonight. So the open circuit between "Stop" and 'Sun Roof" is hot all the time. I ended up using one of those taps on the fuse for "Meter". Works good so far, its hot when the ignition is on position II. Thanks Sarge, a picture is worth a thousand words. Between the angle, the shadows and my glasses I didn’t even see those connectors. I need a good 12V key-on source! 12V key on power source?